Distinguished, durable and dignified. 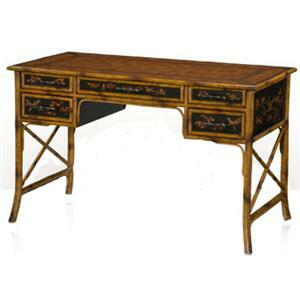 The 19th century faux bamboo and Chinoiserie black lacquer writing desk creates a serene setting. 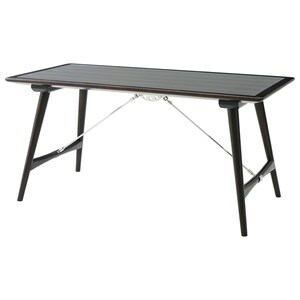 A leather writing surface, five drawers and splay end supports with X-stretchers complete a traditional design that's high in functionality and fascination. 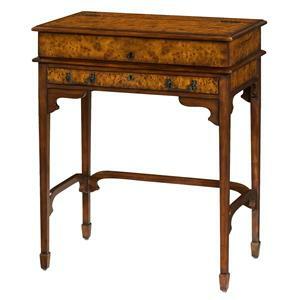 The Wilson Traditional 19th Century Writing Desk by Theodore Alexander at Stuckey Furniture in the Mt. Pleasant and Stuckey, South Carolina area. Product availability may vary. Contact us for the most current availability on this product. 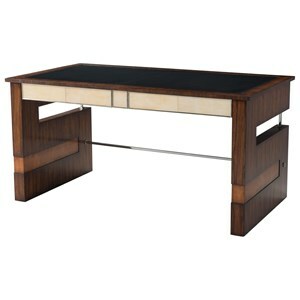 With numerous varieties in function and design, the traditional desks will add incomparable style to your home. 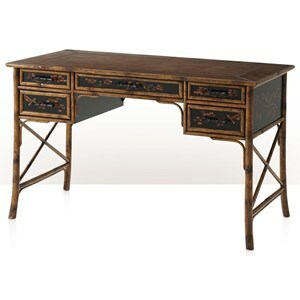 Whether you're looking for top-opening secretary desks or table desks, 19th century style permeates throughout with decorative ornamentation, antiqued wood and extensive storage drawers and compartments. 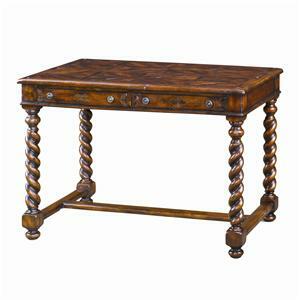 Find your next home addition with the traditional style of the desks collection. The Wilson collection is a great option if you are looking for furniture in the Mt. Pleasant and Stuckey, South Carolina area.